2. 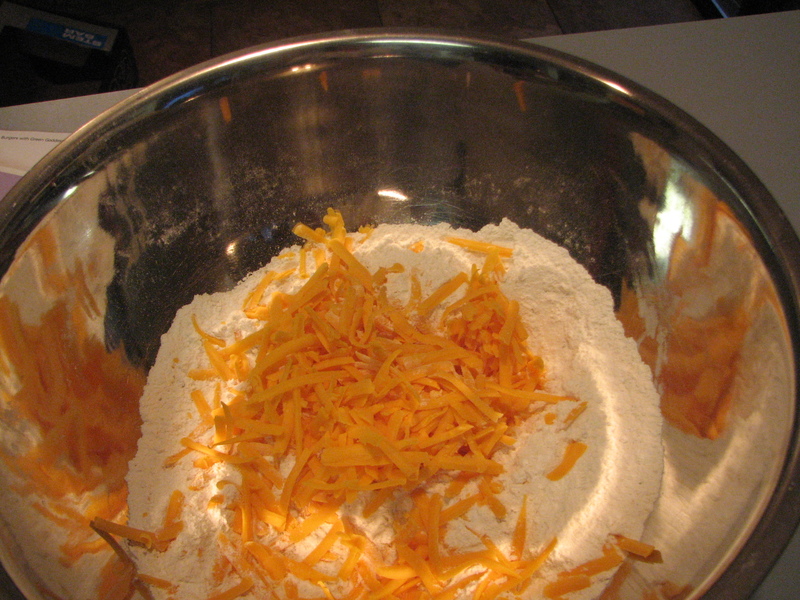 Combine the flour, baking powder, cheese, sugar, garlic powder, and 1/4 tsp of the Italian seasonings in a medium bowl. 3. 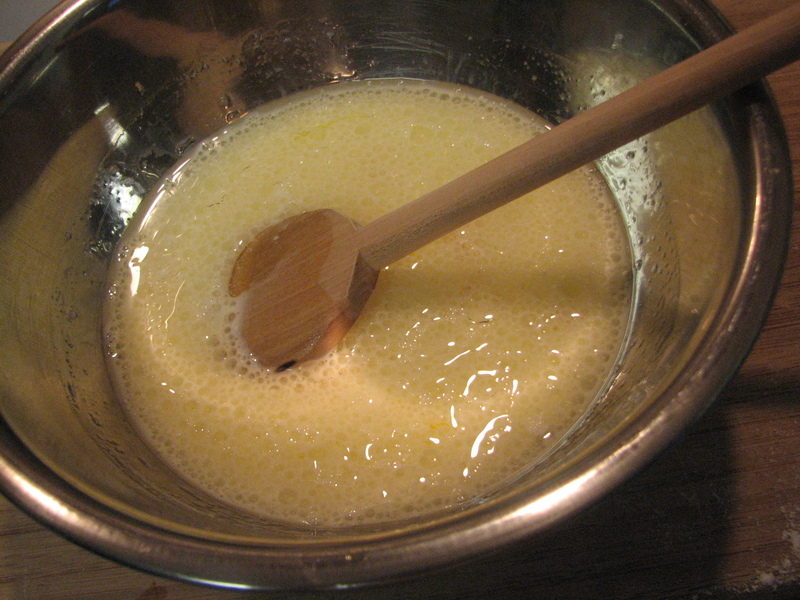 In a separate bowl, combine the milk, oil, and egg. Stir into the dry ingredients until moistened. 4. 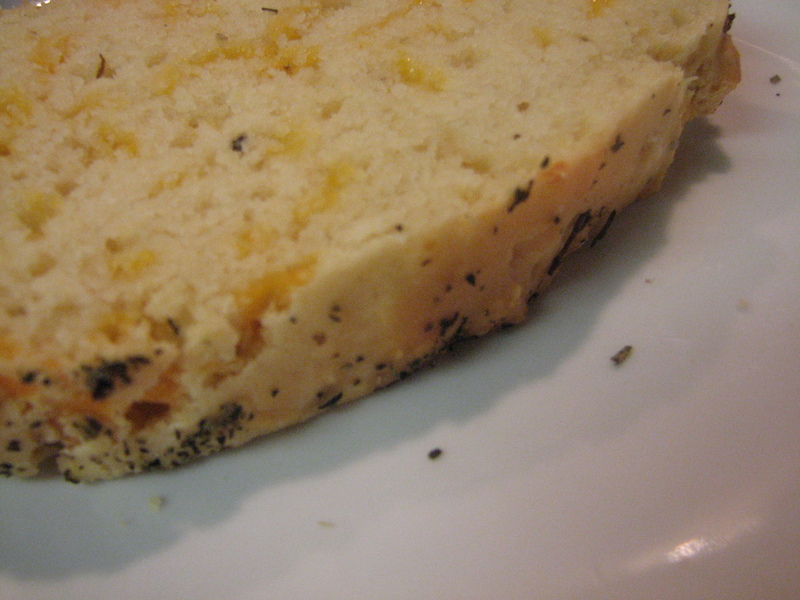 Pour into a greased 9×5 loaf pan. Scatter the remaining 1/4 tsp Italian seasonings across the top. 5. Bake for 55-60 minutes, or until a toothpick comes out clean. 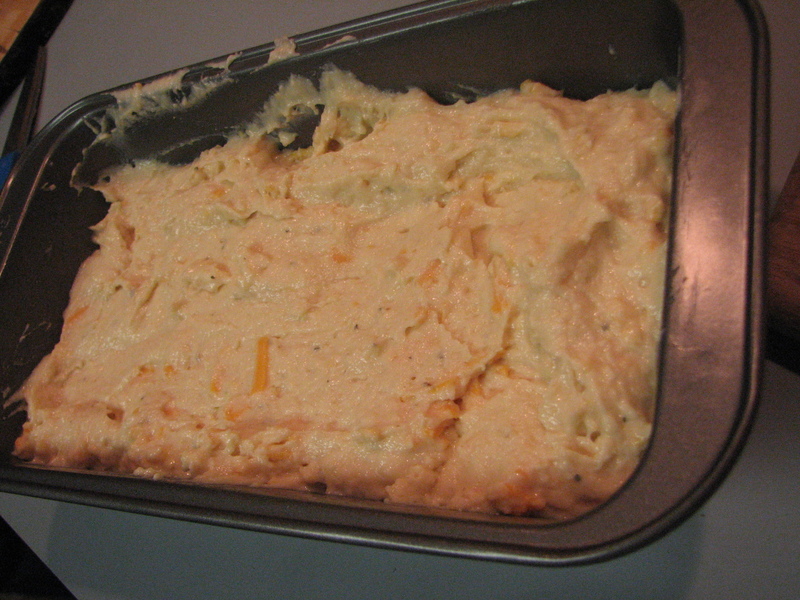 Allow to cool in the pan for 10 minutes before removing and slicing. This was the recipe that Michael and I made first on Christmas Eve. 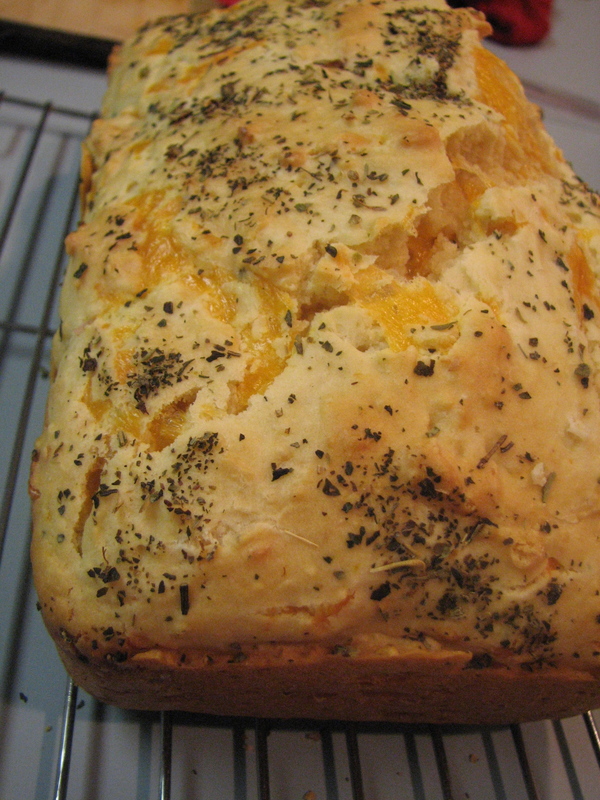 Not that Cheddar Garlic Bread really goes with Penne and Butternut Squash with Goat Cheese…But honestly the bread was more of a pre-dinner snack than part of Christmas Eve Dinner. This recipe was super easy to follow and even easier to make. It took all of about 5 minutes to prepare. In fact, after it was in the over baking Michael and I ran to the store to get the needed ingredients for the dinner. Michael was in charge of shredding the cheese. 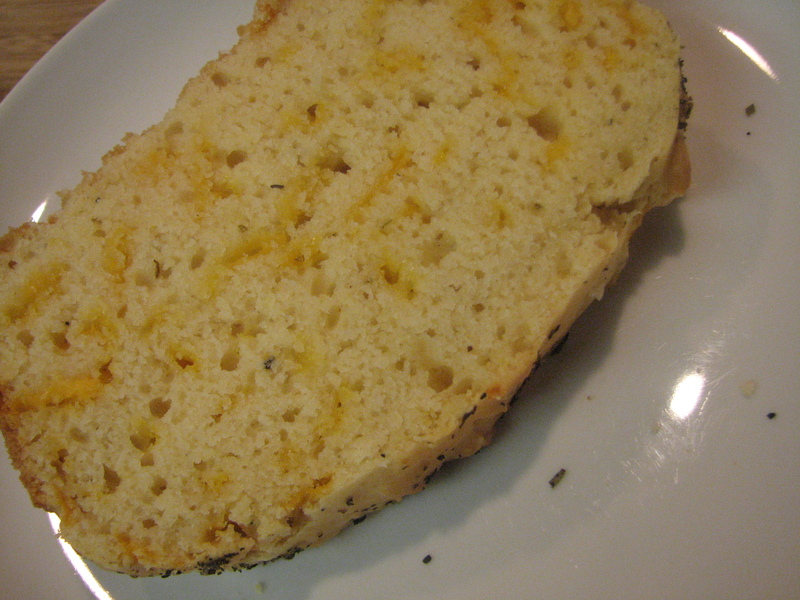 After trying the bread I think it needed a little more cheese or extra sharp cheese instead. 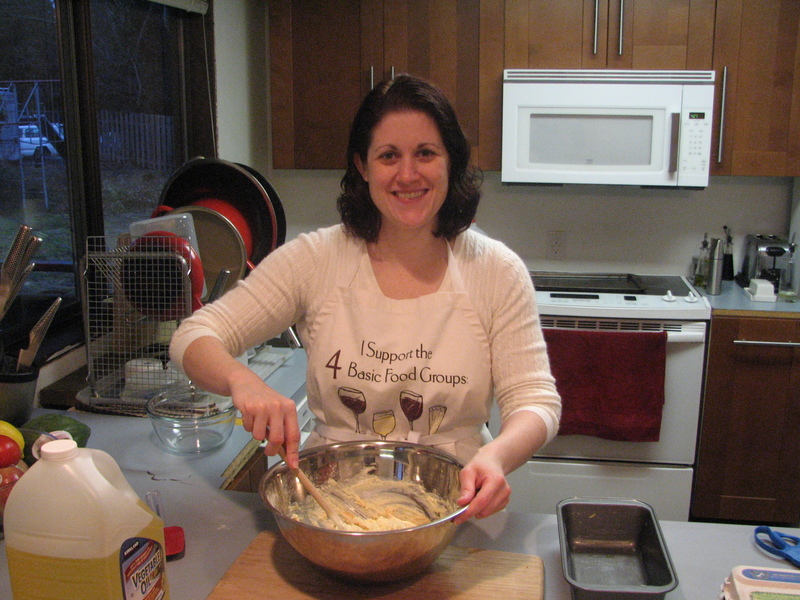 I mixed the dry ingredients together in a big mixing bowl. 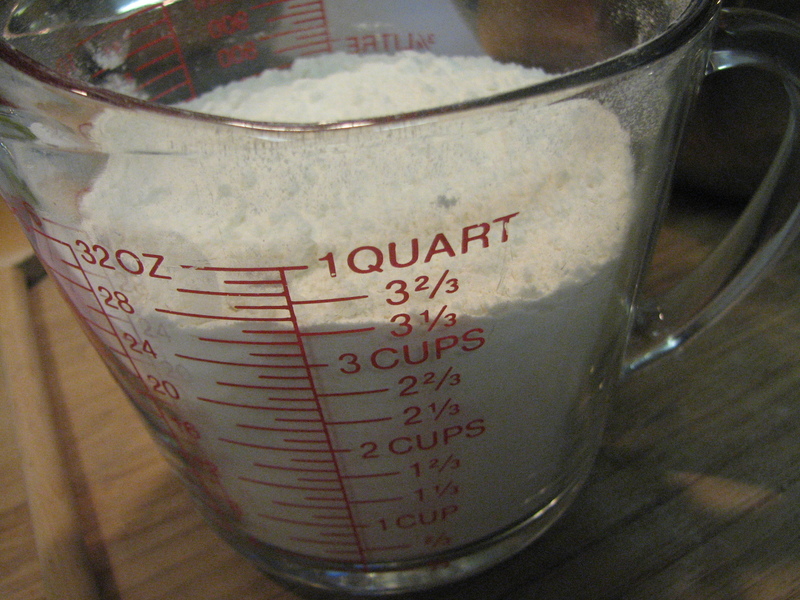 I mixed the wet ingredients and then poured it into the flour mixture. It was super easy to mix all the ingredients together into a dough. It wasn’t nearly as difficult to mix by hand like the cookie dough was last weekend–or the sourdough bread a friend and I made months ago. 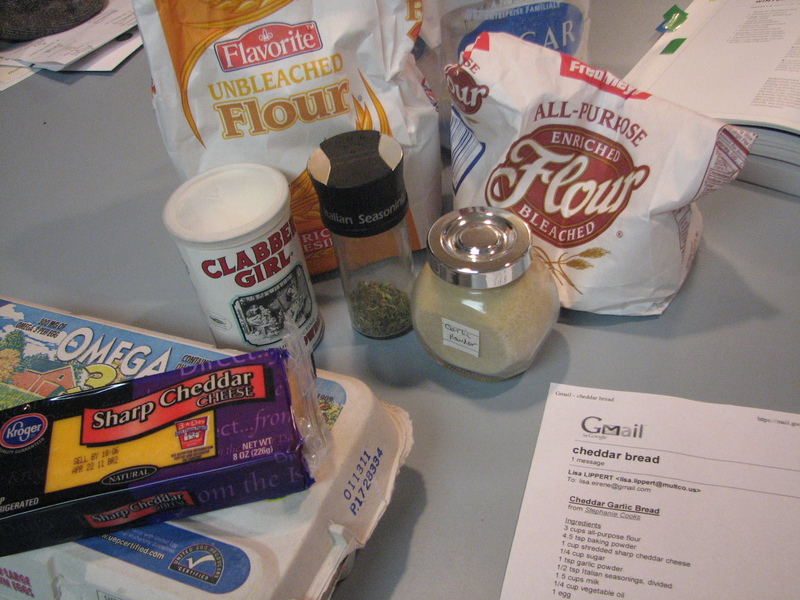 Plus, this recipe does NOT call for yeast! Score one for me! That meant I had a 75% change of not screwing up the recipe and killing the yeast–thus killing the bread. 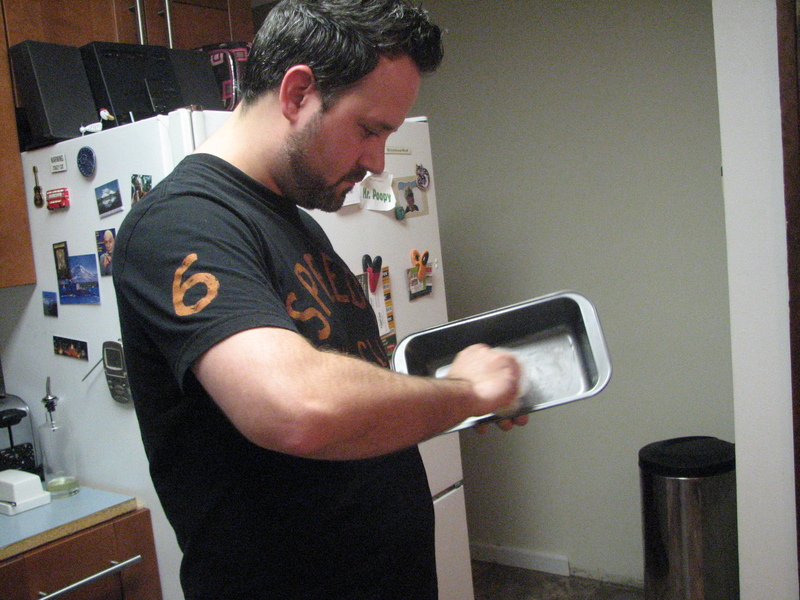 Michael buttered the baking pan and we worked together to pour the dough into it. It was pretty sticky. I topped the dough with the remaining Italian Spices and baked it for about 50 minutes before checking on it. The edges were starting to brown but the center was still a tad doughy so I topped it with foil and let it bake for another 10 minutes. It was done! I let it cool 10 minutes before moving it to a baking rack and slicing a few pieces. I added some butter to the bread and it was a great snack before dinner. 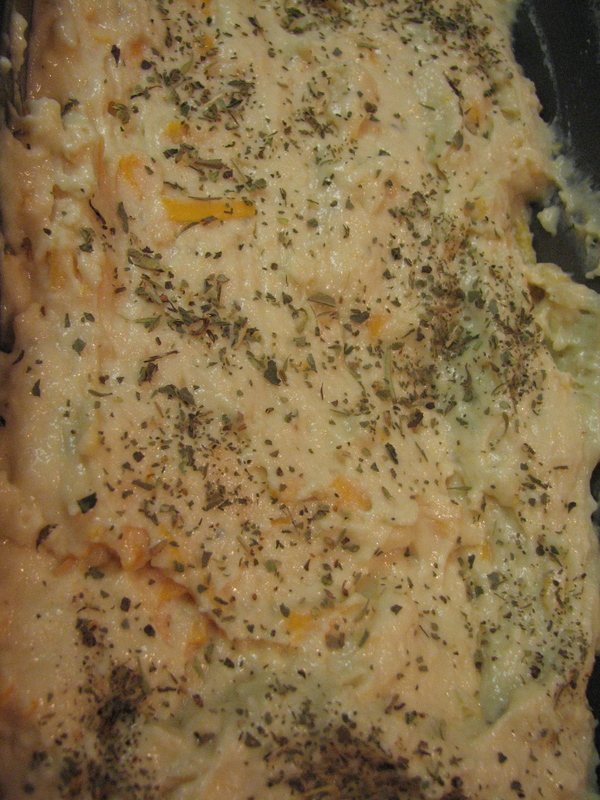 The cheese wasn’t overpowering–again I’d use more cheese or a stronger cheese next time. And maybe a little bit more garlic powder. It was still really good. 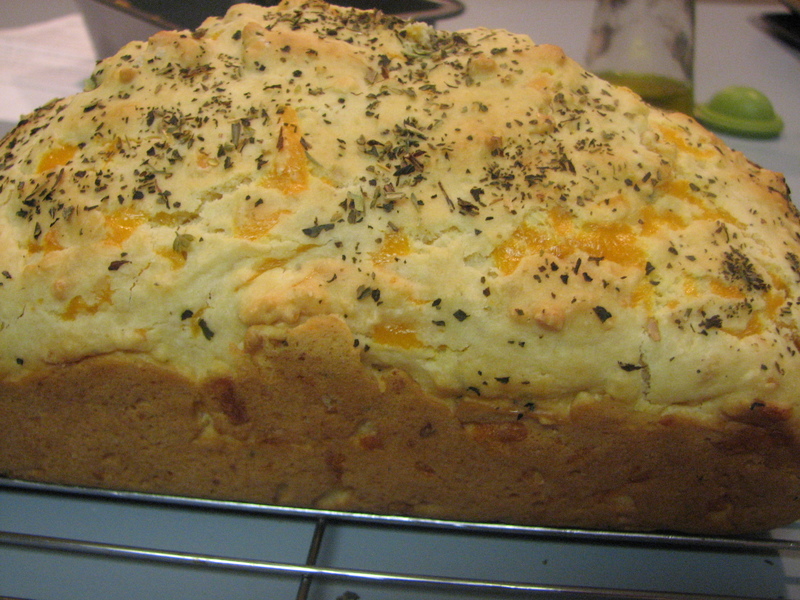 QUESTION: What is your favorite NON-YEAST bread recipe? I love the look of the new site Lisa! I don’t usually make bread at home, but my boyfriend makes biscuits from time to time and they are SO good and dont require any yeast. He made them last night to enjoy with some soup and this amazing cheese he got from a vendor at work. Thanks Beth! I love the new theme. I’m really happy with how it looks. You just gave me a great idea! I should make this bread again but make them into muffins! YUM! Thank you for another recipe that looks delicious! Conveniently, I happen to be making Italian for dinner tonight, and had just been thinking “garlic bread”. 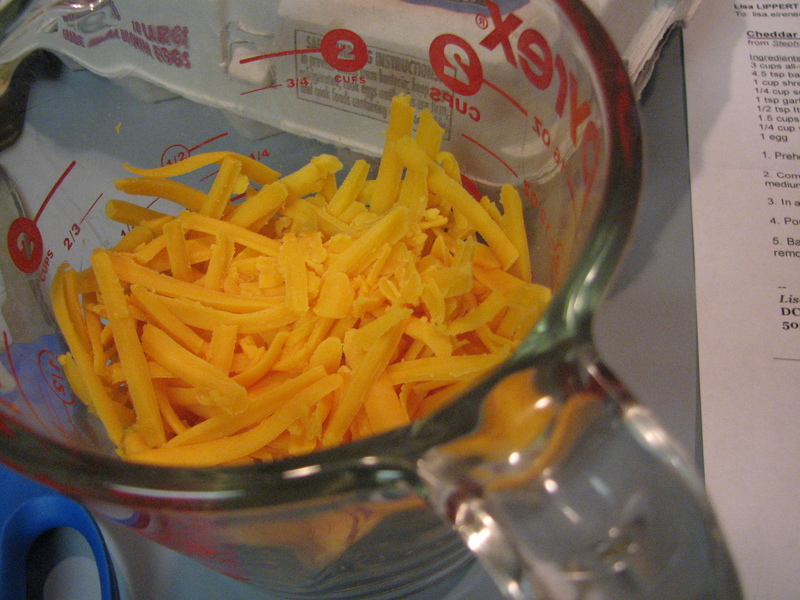 I will amp up the garlic and use sharp cheddar and let you know how it turns out.